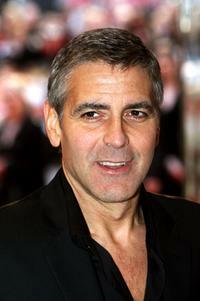 George Clooney at the California premiere of "The Descendants." 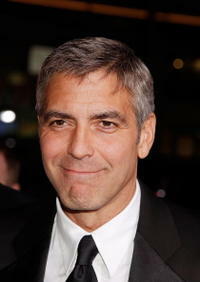 George Clooney at the California premiere of "The Ides Of March." Director Anton Corbijn and George Clooney on the set of "The American." George Clooney and Vera Farmiga at the Toronto premiere of "Up In The Air." 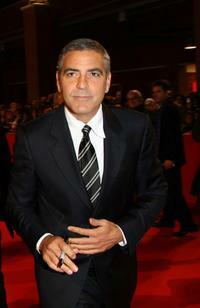 George Clooney at the Italy premiere of "Up In The Air." 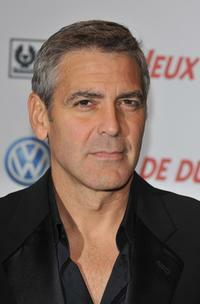 George Clooney at the Canada premiere of "The Men Who Stare At Goats." 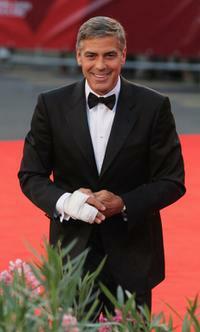 George Clooney at the Italy premiere of "The Men Who Stare At Goats." George Clooney and Frances McDormand in "Burn After Reading." George Clooney and John Krasinski in "Leatherheads." 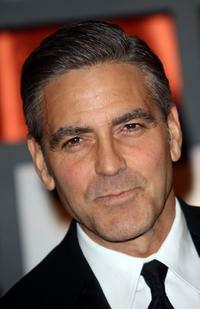 George Clooney in "Michael Clayton." Tom Wilkinson and George Clooney in "Michael Clayton." 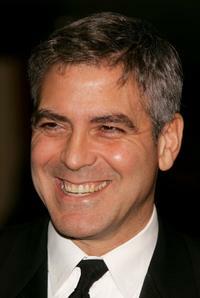 George Clooney as Jack in "The American." 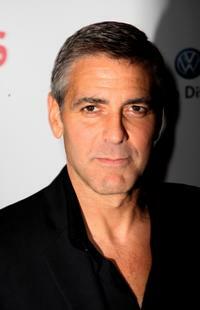 George Clooney at the after party of the London premiere of "Fantastic Mr. Fox." 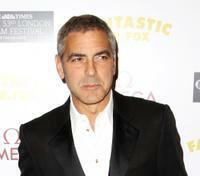 George Clooney and Elisabetta Canalis at the after party of the London premiere of "Fantastic Mr. Fox." 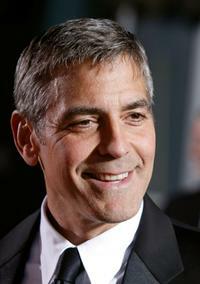 Astronaut George Clooney struggles to unlock the secrets of a strange planet, in "Solaris." Strange occurrences - and a love he thought he had left behind - await Chris Kelvin (George Clooney) upon his arrival at a distant space station. Elisabetta Canalis and George Clooney at the Italy premiere of "Up In The Air." 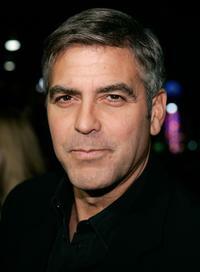 Austin Williams and George Clooney in "Michael Clayton." 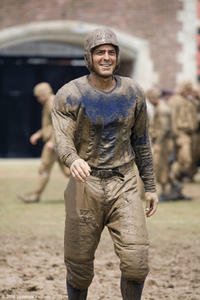 George Clooney on the set of "Leatherheads." 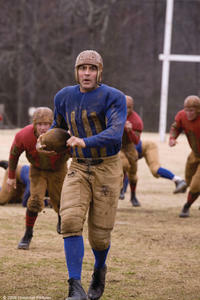 George Clooney, Nick Paonessa and John Krasinski in "Leatherheads." 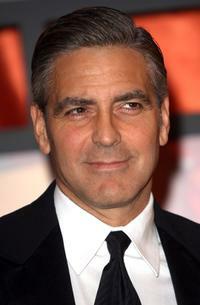 Sean Cullen and George Clooney in "Michael Clayton." Chris Kelvin (George Clooney) investigates the mysteries aboard a space station orbiting a mysterious planet. 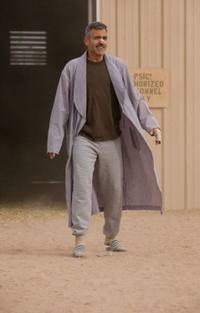 George Clooney as Lyn Cassady in "The Men Who Stare at Goats." 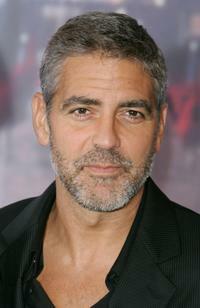 George Clooney and Sydney Pollack in "Michael Clayton." 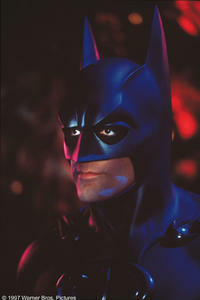 A scene from "Batman & Robin." George Clooney and Tilda Swinton in "Burn After Reading." Elisabetta Canalis and George Clooney at the Italy premiere of "The Men Who Stare At Goats." 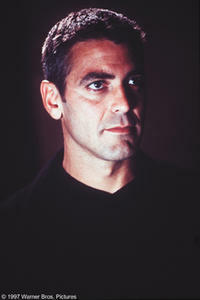 Sydney Pollack and George Clooney in "Michael Clayton." 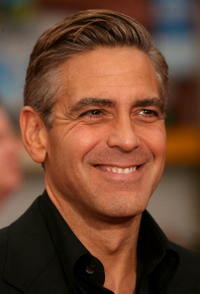 Director/actor George Clooney at the Hollywood premiere of "Leatherheads." Actor/director George Clooney and model Sarah Larson at the Hollywood premiere of "Leatherheads." 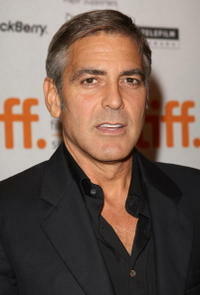 George Clooney at the Toronto premiere of "Up In The Air." 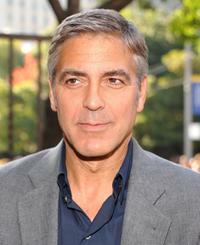 "Michael Clayton" star George Clooney at the premiere during the Venice Film Festival. 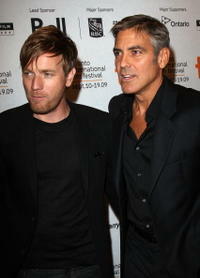 Ewan McGregor and George Clooney at the Canada premiere of "The Men Who Stare At Goats." 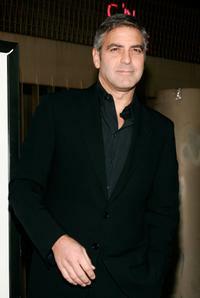 George Clooney at a special N.Y. screening of "The Good German." 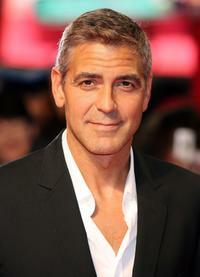 George Clooney at a Cannes photocall of "Ocean's Thirteen." 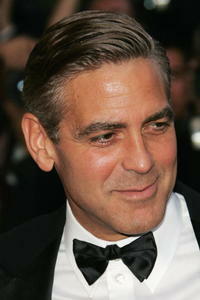 George Clooney at the Hollywood premiere of "Ocean's Thirteen." 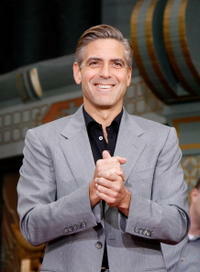 Clooney at the Hand and Footprints Ceremony at Grauman's Chinese Theatre in Hollywood. 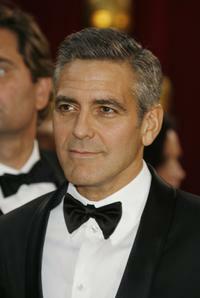 George Clooney at the Cannes premiere of "Ocean's Thirteen." 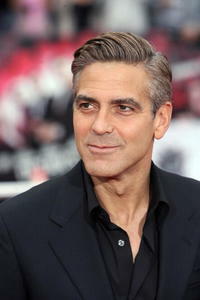 George Clooney at the CineVegas opening night screening of "Ocean's Thirteen." 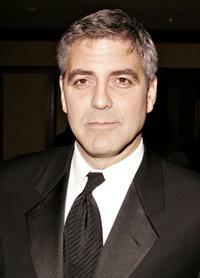 George Clooney at "Giorgio Armani Celebrates the Oscars" in Beverly Hills. 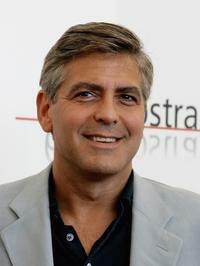 George Clooney at a Cannes photocall for "Ocean's Thirteen." 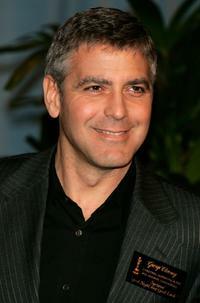 George Clooney at a Cannes party to promote "Ocean's Thirteen." 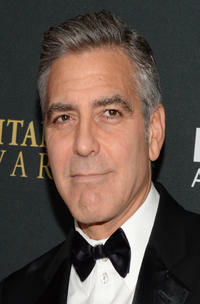 George Clooney at the 21st Annual American Cinematheque Award in Beverly Hills. 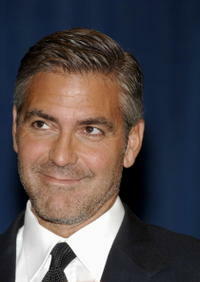 George Clooney at a bill signing for California Assembly Bill 2941. 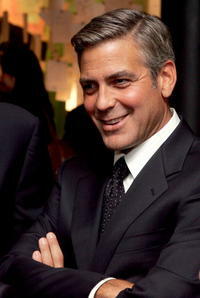 George Clooney at a N.Y. dinner hosted by the Save Darfur Coalition. 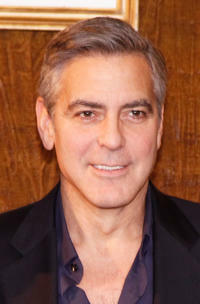 George Clooney at a N.Y. news conference after addressing the United Nations Security Council on Dafur. 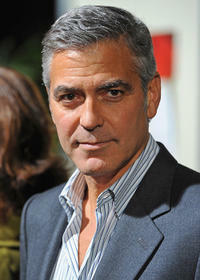 George Clooney at the Singers and Songs Celebrate Tony Bennett's 80th birthday event in Hollywood. 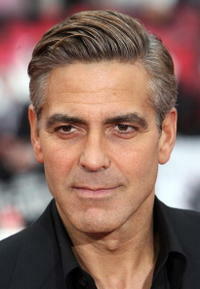 George Clooney at the Hollywood premiere of "The Good German." 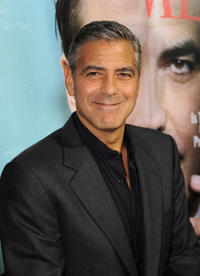 George Clooney at the photocall of "Leatherheads." 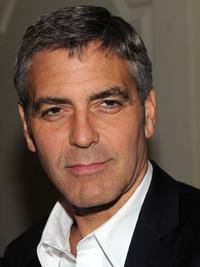 George Clooney at the Oscar Nominees Luncheon. 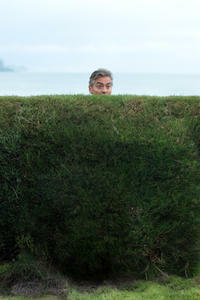 George Clooney on the set of "The Descendants." 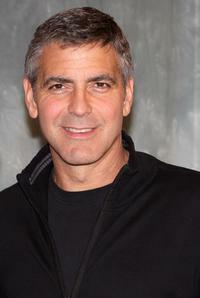 Director George Clooney on the set of "The Monuments Men." 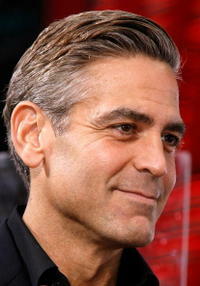 George Clooney at the premiere of "Leatherheads." 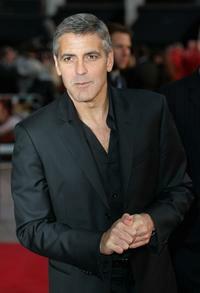 George Clooney at the photocall of "Ocean's Thirteen" during the 60th International Cannes Film Festival. 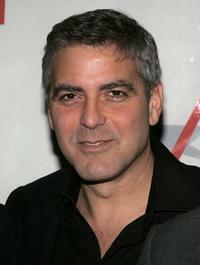 George Clooney at the afterparty following the premiere of "Leatherheads." 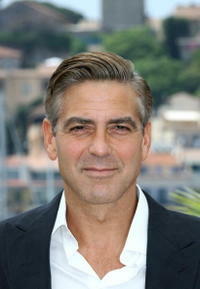 George Clooney at the photocall of "Good Night, And Good Luck" during the 62nd Venice Film Festival. 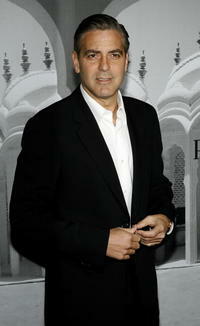 George Clooney at the photocall of "Syriana" during the 56th Berlinale Film Festival. Anna Kendrick as Natalie Keener and George Clooney as Ryan Bingham in "Up in the Air." 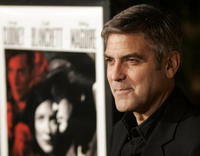 George Clooney and Renee Zellweger at the premiere of "Leatherheads." 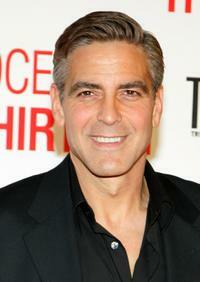 George Clooney at the opening night screening of "Ocean's Thirteen." 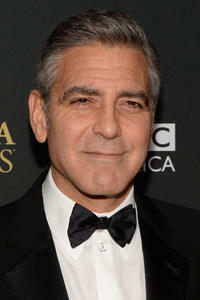 George Clooney at the 58th Annual Directors Guild Of America Awards. 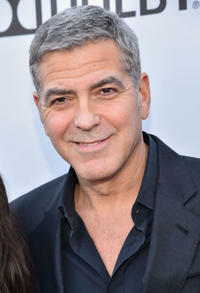 George Clooney at the premiere of "The Good German." 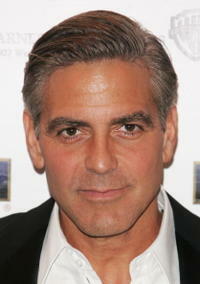 George Clooney at the AFI Awards Luncheon 2005. 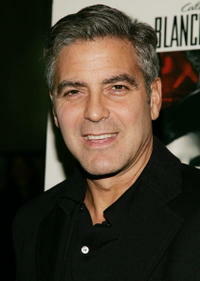 George Clooney at the premiere of "Michael Clayton." Julia Roberts and George Clooney at the 21st Annual American Cinematheque Award. George Clooney and Ewan McGregor in "The Men Who Stare at Goats." Director Grant Heslov and George Clooney on the set of "The Men Who Stare at Goats." 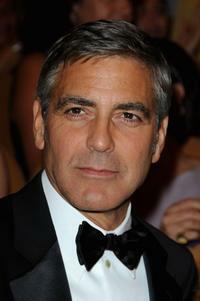 George Clooney at the 80th Annual Academy Awards. 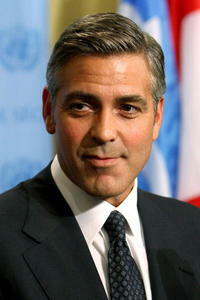 George Clooney in "Burn After Reading." George Clooney and Jeff Bridges in "The Men Who Stare at Goats." 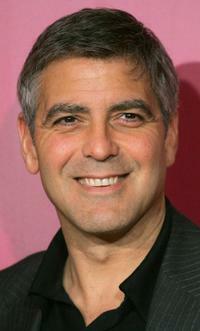 George Clooney in "The Men Who Stare at Goats." 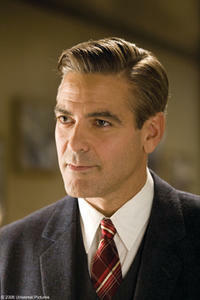 George Clooney as Dodge Connolly in "Leatherheads." 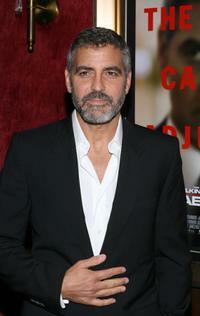 George Clooney at the premiere of "Jeux de Dupes." 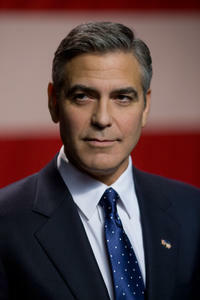 George Clooney as Governor Mike Morris in "The Ides of March." 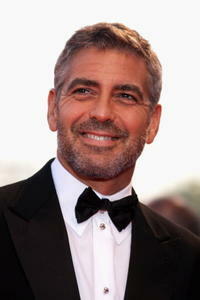 George Clooney at the photocall of "Michael Clayton" during the 33rd Deauville American Film Festival. 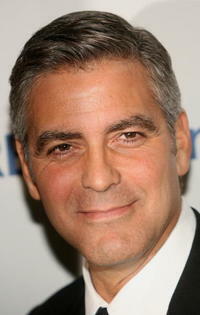 George Clooney at the 13th annual Critics' Choice Awards. 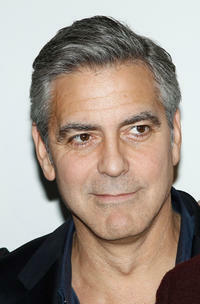 George Clooney at the special screening of "Leatherheads" after party. 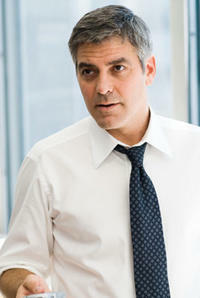 George Clooney as Ryan Bingham in "Up in the Air." 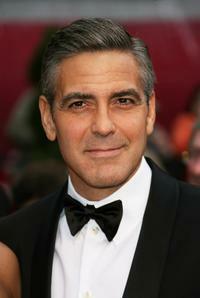 George Clooney at the premiere of "Ocean's Thirteen." 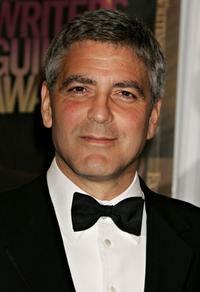 George Clooney at the 2006 Writers Guild Awards. 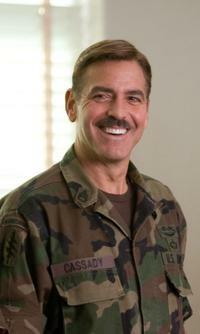 George Clooney as Matt Kowalski in "Gravity." 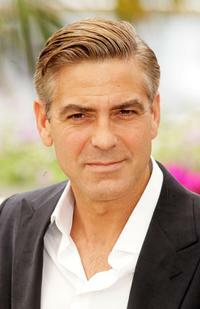 George Clooney as Matt King and Shailene Woodley as Alexandra in "The Descendants." George Clooney at the UK premiere of "The Monuments Men." 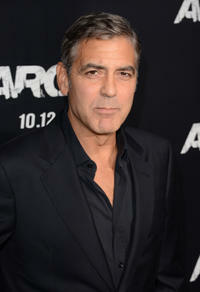 Producer George Clooney at the California premiere of "Argo."